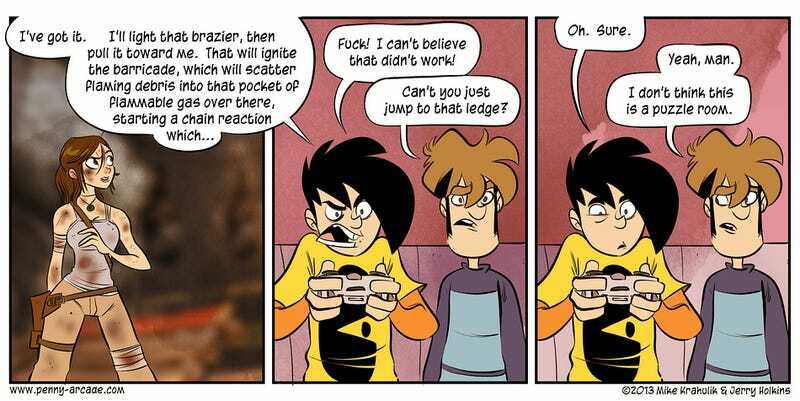 Accurately sums up my train of thought upon entering practically every room in Tomb Raider. When in doubt, find a ledge for Lara to hurl herself at. Although I have to say, if there wasn't as much shooting dudes in the face with arrows in the second half of the game, I'd have taken some more puzzle/platform rooms instead.